Now that school is back in session, your children may be relying on the school bus to get to and from school safely. Studies have shown that school bus accidents in Hollywood and the rest of the country are far rarer than car accidents, but injuries involving school buses still do occur and parents have every right to be concerned about their children’s safety. While taking a school bus to school is safer than walking or getting a ride in a car, children are not invulnerable. The biggest dangers are when children are heading to or from the school bus. Injuries can also occur while the bus is in motion – especially if children get up from their seats. Always coming to a full stop well away from the bus when children are getting on or off the bus. It does not matter which direction you are traveling – traffic in both directions must come to a stop. Never pass a school bus in this situation. Never passing a school bus on the right. Staying alert. Children getting on or off a bus are usually familiar with the bus and the area. They may be talking to their friends and not paying attention. Be prepared for the unexpected. Never driving distracted. You may not notice child pedestrians or school bus passengers crossing the street. Talking to your child about school bus safety. Your child should know to stay in their seat while the bus is moving and should obey the driver or teachers on the bus. Teach your child how to get on and off the bus safely, always looking both ways before crossing the road. Practice with younger children so they get the safety rules right. Reviewing what the school does to keep your child safe. Does the school teach children school bus and pedestrian safety? 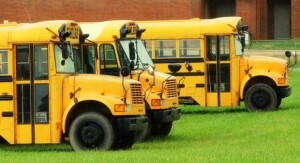 Are there student monitors or some other safety system on the school bus to ensure a safe ride home? What precautions are taken? Taking a look at the school bus route. Is the route safe? Does the school provide a safe place for buses to disembark? Are there clear pedestrian signs or pavement markings for children hopping on or off the bus? Voicing your concerns. If you notice anything unsafe about the school bus or its route, raise your concerns with the school. Talk to other parents and find ways to make your voices heard. 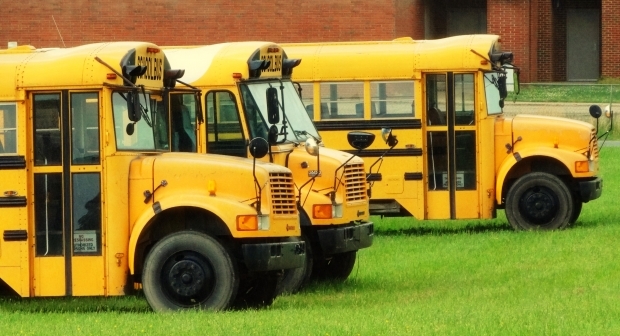 If your child is injured by a school bus or while being transported by a school bus, contact Flaxman Law Group. Your family deserves to know that you may qualify for compensation to pay your child’s medical costs. To schedule a free consultation with a member of our legal team, contact Flaxman Law Group at any time. We are always standing by to help individuals and families who have suffered injuries.